Fans of the first-person action series "Halo" would be delighted to know that the remastered video game will launch on Dec. 20, 2016. The "Halo Wars: Definitive Edition" will be up for grabs for those who pre-ordered the digital version of the Ultimate Edition. The Ultimate Edition of "Halo" is slated to roll out on Xbox One and Windows PC on Feb. 21, 2017. Ahead of the release of "Halo Wars 2: Ultimate Edition," the video game company 343 Industries will unleash the remastered game on Dec. 20. Aside from the typical assortment of graphical upgrades, the Definitive Edition provides a ton of new content. Those on PC will also be treated by the "Halo Wars: Definitive Edition" on platform-specific features like the 4K resolution support, according to Halo Way Point. The key features of "Halo Wars: Definitive Edition" includes the game's optimization to run natively on Xbox One and Windows 10. The video game's improved visual effects, graphics and audio. Also, the "Halo Wars: Definitive Edition" will be available up to 4K resolution on Windows 10 PC, all DLC from the original game, as well as Bonus Content. Nevertheless, the Definitive Edition of the game isn't the only new material arriving from the video game company. 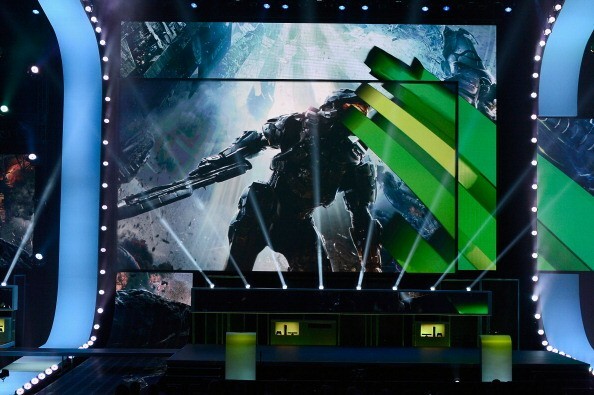 In fact, the 343 Industries hints that more "Halo" projects are coming soon. The 343 Industries took to their official blog to announce that they recently had a meeting about the future plans which involve more projects of the franchise, Gamerant reported. The company did confirm that they are in the early stages for the upcoming "Halo 6," and also the Steven Spielberg television series. Either of these could be the company's new projects or it could be referring to new titles entirely, Gamespot has learned. That being said, those who will be getting the "Halo Wars: Definitive Edition" would be glad that the remastered game's Achievement List has been released. Destiny was released back in 2014 and was billed as a game changer for online shooters. 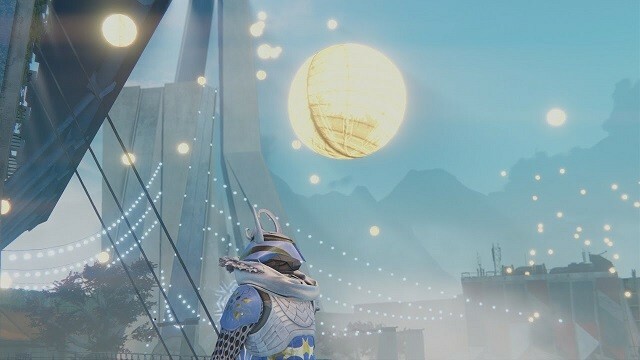 But fans and critics were disappointed upon the release of Destiny due to its lack of content and unfulfilled promises. However, Bungie has steadily improved Destiny and has released two expansions and countless updates. There has been talks for a Destiny 2 on 2017 to improve upon its predecessor but recent comments by Bungie may make that release date unlikely. In a recent blogpost, Bungie has detailed their plans for 2017. Destiny is currently celebrating its holiday event, The Dawning which is an improvement over their last holiday event at Halloween. And it looks like Bungie will be also taking the time off and celebrate the holidays and resume work afterwards. "We'll get back to business as usual once the eggnog leaves our blood," Bungie wrote," Bungie said. Not much was said for their plans for next year but they did assure us that there are more content coming for Destiny. "Until we talk again, work will continue at Bungie. It always does. Destiny is never finished. We have playtests of new content to share with each other," says Bungie. This could mean that Bungie will be looking to support Destiny in 2017 which could mean bad news for Destiny 2. In fact, a fan has recently discovered hidden files in Destiny's database. A folder labeled "classified" contains a collection of items that could definitely be part of the future content for Destiny on 2017. If this rumor is true, then Destiny will continue to support Destiny through 2017. Destiny seems to be popular enough to warrant a support next year. But if that's the case, then Bungie would have their team divided into developing for 2 games. Destiny 2 is slated for a release on 2017 and with new developments for Destiny, 2 teams are required for the task. Destiny 2 already has multiple studios working for it but it would be useless if Bungie, the original creator wouldn't have its full force in development. They might as well delay Destiny 2 if they can't go all in on it. They have to remember the disaster when Destiny was first launched iin 2015. They have the perfect chance to redeem themselves with Destiny 2. But with without full support from Bungie, Destiny 2' release should be delayed. An extended gameplay footage of "Friday the 13th: The Game" was recently released by Gun Media. The new footage features the game's asymmetric multiplayer gameplay and shows camp counselors trying to survive against Jason. According to Game Rant, the new gameplay footage shows players working together in their attempt to survive against iconic horror character Jason Voorhees from the "Friday the 13th" slasher film franchise. As demonstrated in the footage, communication is key in ensuring the players' survival in the game as each of them will be left to their own devices in Higgins Haven. They would have to find each other, form groups, and scavenge for supplies. In the game, players are given somewhat vague objectives which they can complete mostly by locating important items which can be used for their escape. Players are also allowed to gather a variety of weapons which they can use to temporarily stop Jason from coming after them. Based on the extended gameplay video, it is also possible for players to abandon other survivors and let them be killed by Jason. Should one of the players get captured by Jason, other players have the power to decide whether to help the captured survivor or leave him to save themselves. This option for betrayal adds a complicated but interesting twist to the asymmetric multiplayer gaming style of "Friday the 13th." Although not much creativity has been displayed yet with regards to how Jason executes the players, the footage reportedly shows just enough to prove how formidable of an opponent and a villain Jason is. Similar to his strengths in the films, Jason is impervious to whatever is thrown at him, and he is so strong that he kills the camp counselors very easily once he catches them. Originally slated for release this October, "Friday the 13th: The Game" will instead be made available for PC, PS4, and Xbox One in the first quarter of 2017 in order for its developers to explore the implementation of a singleplayer mode. SEGA is ready to raise the curtain on the biggest Hatsune Miku rhythm & action game yet with Hatsune Miku: Project DIVA Future Tone. A PlayStation®Network exclusive, it kicks off with a bang by giving players more than 200 songs for Miku and her digital friends to perform. Newcomers and veterans alike will have new controls to master, and tons of customization thanks an unparalleled amount of costume modules to unlock! In the sequel to the acclaimed PS Vita original, you will have brand new gravity-shifting options and combat mechanics at your disposal. Kat can now use three gravity styles that add more variety and combat options: Normal, Lunar and Jupiter. The story begins when a jester, Dhoulmagus, comes to Castle Trodain and steals the King’s sceptre. He then uses its power to turn his majesty into a troll, the Princess into a horse, and the castle inhabitants into plants. The only one left unscathed from this attack is a castle guard who escaped the curse and must now step up to save the kingdom he’s sworn to protect. Only by travelling the lands, recruiting allies, and following the trail of destruction that Dhoulmagus leaves in his wake will The Hero be able to retrieve the sceptre in order to restore Trodain back to its former glory. With Yakuza 0, newcomers to SEGA’s Yakuza series will be able to get in on the ground floor, with the game’s standalone, story-driven action that focuses on navigating the seedy underworld of Japan with series protagonist Kazuma Kiryu, and for the first time in a numbered title, players will be able to play as long-time NPC, Goro Majima – the Mad Dog of Shimano. Kingdom Hearts HD 2.8 Final Chapter Prologue is a compilation that brings the popular Kingdom Hearts [Dream Drop Distance] to the PlayStation 4 platform remastered in high definition. Resident Evil 7 biohazard sets a new course for the Resident Evil series as it leverages its roots and opens the door to a truly terrifying horror experience. Set within a sinister plantation mansion in modern day rural America and taking place after the dramatic events of Resident Evil 6, players experience the terror directly from the first person perspective for the first time in the Resident Evil series. Embodying the iconic gameplay elements of exploration and tense atmosphere that first coined “survival horror” some twenty years ago, Resident Evil 7 biohazard delivers a disturbingly realistic experience that will define the next era in horror entertainment. The game's story centers around two potential main characters: Japanese third-year high school students Takuto and Shiki.Takuto was once a passionate Digimon fan in his youth, even becoming runner-up in a national tournament, but has since become more concerned with adolescent life and wondering about his future. He and Shiki are transported to the Digital World, where they meet their Digimon partners, including Agumon, Gabumon, Biyomon, and Palmon. They are joined on their journey by classmates Kouta Hirose, whose partner is Guilmon, and Himari Ōbuchi, who is partnered with a Salamon she nicknamed "Rikka". In the vast land of a kingdom made of continents and countless archipelagoes, inhabitants work to advance shipbuilding and sailing technologies, and climate varies greatly ranging from severe winters to everlasting summers. There, Velvet's life took a complete turn after a certain incident that woke her up three years ago. She is an entity that greatly shocks the world. When Adell and his family accidentally kidnap the Princess of the Netherworld, all hell breaks loose. Adell races to return the Princess to her home, where he hopes to defeat the Overlord and break the curse on his world. The Complete First Season will deliver the ultimate physical version of the game, with over 100 hours of gameplay. Featuring all of the Season One locations and episodes from the Prologue, France and Italy to Morocco, Thailand, USA and Japan. Play as Agent 47 to take out powerful high-profile targets in an intense spy-thriller story across a world of assassination. iPhone users had their fun, but Super Mario Run's Android release date is the next big event. Those on Google's mobile operating system missed out on the Dec. 15 launch of Nintendo's mobile game, but that doesn't mean all hope is lost for Super Mario Run on Android. The official Android release date is still a mystery, but it's possible we could see Nintendo bump up its internal timeline a bit to salvage the company's struggling stock. We're just speculating here, but considering the tepid response Super Mario Run has gotten so far, both from players and the stock market, it wouldn't come as a shock if Nintendo decided to speed up its Android release plans. Super Mario Run Android Release Date: Is the delay hurting Nintendo's stock price? SensorTower reported that Nintendo's first proper mobile game had over 5 million downloads in its first day on the App Store. However, the game's massive launch wasn't enough to impress investors. The company's stock has already taken a hit, according to the Wall Street Journal. The Nintendo Switch unveiling also lowered the company's stock by a similar 7%. Pokémon Go's release sent Nintendo's stock price skyrocketing, only to have it drop just as quickly when it was revealed Nintendo would be making little off Niantic and Pokémon Company's profit from the augmented reality game. There are a few possible reasons why Super Mario Run's launch hasn't helped the company's stock. For one, the app made its way to the number one spot in North America's App Store charts, but not in Nintendo's home country of Japan. Others might credit the game's current two-and-a-half star App Store rating as a troubling sign. However, investors likely know how much profit the company could be making if Super Mario Run had been released simultaneously on iOS and Android. Super Mario Run Android Release Date: Could Nintendo push up the launch date? In its first day, Super Mario Run made more than Pokémon Go, according to SensorTower, even though the augmented reality game launched on both iOS and Android at the same time. Cutting out such a large user base for the new app automatically lowers the number of people who can spend $9.99 to unlock the full experience. Considering the current shape of Nintendo's stock, it's possible could see an Android download of Super Mario Run make its way to Google's platform sooner than expected in an effort to boost profits. Then again, if Nintendo signed an exclusivity deal with Apple, we may not see an Android release until 2017. More Super Mario Run news and reviews If you want to know more about Super Mario Run, walk calmly toward Mic's latest coverage, like our review of the demo, an explanation for why the game isn't free, an advisory about how much data Super Mario Run will really use and a list of Android games to play while you wait. 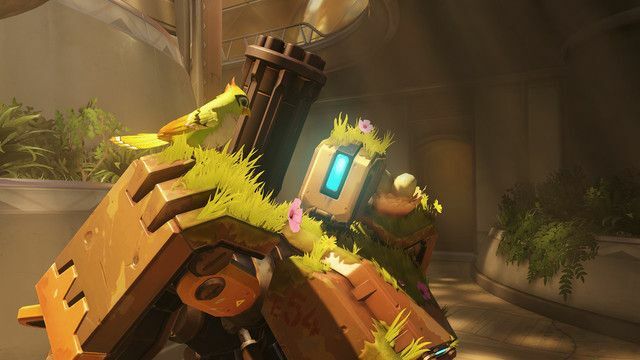 Digital games might be the future of the industry, with more and more games eschewing a traditional release in favor of virtual storefronts, but don’t count out honest-to-goodness boxed games just yet — in 2016, we actually saw a rise in physical releases. The news comes via the analysis group NPD, which revealed the statistics for physical releases over the past several years to Gamesindustry.biz. In 2016, 296 physical releases hit store shelves in the United States between January and November, with a few other blockbuster games such as Dead Rising 4 and Super Mario Maker on 3DS adding to that number. Nearly half of these games were released between September and November. This is a slight increase from 2015, when 290 physical games were released. NPD attributes the increase to the release of PlayStation VR games such as Eagle Flight as well as AAA publishers’ decision to release previously digital-only games to store shelves — Rocket League, Ori and the Blind Forest, and Life is Strange have all seen physical versions after their critical and commercial success digitally. However, the news isn’t all positive. Though the number of physical releases was up year-over-year, physical game sales fell by nearly $500 million from 2015 and by more than $2 billion since 2012, when 599 physical games were released in the United States. If you’re looking to purchase physical versions of indie games, though, you now have another option. The company Limited Run Games publishes a small number of physical versions of games like Firewatch and Lone Survivor, which not only gives collectors another piece for their collection, but also works to save these titles from extinction when they are inevitably no longer available digitally. In the past, the company has produced physical copies of Octodad: Dadliest Catch, Xeodrifter, Thomas Was Alone, and even Shantae and the Pirate’s Curse. First, we are really sorry because of interrupted service in a few days ago. Our team worked hard in a week to bring KissAsian.com come back to everyone. And now you guys can watch your favorite drama and discovery the thousands of drama on KissAsian.com again. Please share this announcement to your friends to support us! Thank you so much! "" A new trailer has released for Dawn of War III, teasing some of the story and characters in this endless war, from Ork chieftains who want to tear off heads to Eldar, erm, elders(? ), who are trying to reclaim their race’s glory days. Showing off all new in-game cinematics, the trailer embedded above with get you in the mood for the game’s upcoming release. Have a watch and meet the factions, their leaders and other key characters you’ll be seeing from the Warhammer 40K universe. However, if you're more interested in the nitty gritty of the fight, check out our feature on all the Dawn of War III units revealed and rumoured so far. A new trailer for Poochy & Yoshi's Woolly World, the 3DS port of the original yarn Yoshi Wii U game, has been released. The trailer, which you can watch below, shows off new speed-focussed Poochy Dash stages, as well as a more calm-looking Mellow Mode. We also get a look at the game's tools for creating your own Yoshi, which you can then share via StreetPass. The most adorable bits are saved for the end of the trailer, however. First, we get a glimpse at the game's new stop-motion video shorts, of which there will be 30 in total. The trailer then shows us the new Poochy Amiibo, which might even be cuter than the Mega Yarn Yoshi Amiibo released alongside the Wii U edition. Poochy & Yoshi's Woolly World was first announced back in September. It includes all the levels from the original Wii U version, plus the aforementioned additions. We somewhat enjoyed the original here at GameSpot, with critic Rob Crossley calling Poochy one of the better features in the game. For more, check out our full Yoshi's Woolly World review. Poochy & Yoshi's Woolly World launches for 3DS on February 3, 2017. Nearly 10 minutes of new Nioh gameplay footage debuted over the weekend, courtesy of a new trailer and four-hour live stream, giving fans of Koei Tecmo’s upcoming action-RPG another source of procrastination before getting the week started. And even those who don’t have much of an opinion on Nioh can appreciate a reason to duck work for a few minutes on Monday morning. Admittedly, the latest Nioh trailer to hit the web is pretty uneventful, even if it is the second time we’ve seen Nioh running on the PS4 Pro this month. In fact, the clip might be one of the least consequential clips in recent memory, featuring nothing more than a brief conversation between the game’s protagonist, William, and two other samurai. To make matters even worse, the clip is currently only available in Japanese, so anyone not fluent in the language can’t do much more than marvel at how good Nioh looks on their 4K TV. Fortunately, it wasn’t the only source of new Nioh footage this weekend. Koei Tecmo hosted a marathon four hour, 10 minute live stream on Saturday, featuring new footage from a variety of current and upcoming KT titles, during which the studio unleashed several minutes of new Nioh gameplay. Unlike the game’s latest trailer, the Nioh gameplay from the live stream is almost entirely action-oriented. There’s a bit of inventory management at the beginning, giving us a sneak peek at some of the gear William can recover/use during the Nioh campaign, but the tempo picks up pretty quickly. For a closer look at Nioh , take a few minutes to check out the game’s latest trailer or skip to the 3:14:00 mark in the stream below to see new Nioh gameplay. Then head down to the comments section and let us know if you’re planning to buy Nioh when the game hits PS4 early next year. After revealing the ‘For Honor’ story campaign trailer at this year’s E3, Ubisoft has released a new gameplay trailer, this time previewing the Shokogi of the Samurai faction from the final game. The game features a hand-to-hand combat system described as “The Art of Battle” by the developers and allows players to play the roles of historical soldiers such as medieval knights, samurai, and vikings within a Medieval fantasy setting. Immerse yourself in a single player tale and embody heroes of all three factions to ensure the survival of your people and foil the plans of the merciless and bloodthirsty warlord, Apollyon. For an added adrenaline rush, the single player campaign is also fully playable cooperatively. Coordination and communication with your band of warriors will be the key to owning the battlefield! The upcoming online action hack and slash video game is set to be released on Xbox One, PC, and PlayStation 4 on February 14th, 2017. Check out the new trailer above. With the official confirmation of the release date of the Switch just a few weeks away, Nintendo fans have been getting increasingly excited to find out more details about the upcoming console. In particular, gamers have been intrigued to see exactly what kind of library the Switch will have, outside of the launch of The Legend of Zelda: Breath of the Wild and the already-expected Nintendo staples of new Mario games. Now, those thinking about buying a Switch can get a look at another game in development for the console – Seasons of Heaven. This may not be a big name for many, but it’s an interesting project nonetheless. Seasons of Heaven, which is based on the novel of the same name, is an independent release from developer AnyArts Productions. Initially revealed earlier this year, Seasons of Heaven has now received its debut gameplay trailer, which can be seen below. The trailer itself showcases some of the game’s lush environments, before revealing the main characters of the game: Yann, a boy with Asperger’s syndrome, and his French bulldog Ani. Beyond that, AnyArts Productions ups the ante in terms of mystery, giving glimpses at giant creatures, ghostly characters, and obscure items spotted around the game world. So far, the title looks intriguing, with an Unreal Engine 4-based game world that begs to be explored. Although there have been some criticisms of the animation in particular, it was a bold move from AnyArts to showcase the game in such an early, alpha form, and there’s definitely enough promise there to get gamers interested. It’s worth noting, of course, that this trailer is not running on Switch hardware, but instead on PC based on Switch specifications while awaiting a true Switch developer kit. Although Nintendo fans will no doubt be awaiting a higher profile game to be confirmed for the Switch, the fact that Seasons of Heaven is being developed for the console at all shows promise. After all, many gamers are hoping that the potential full third-party support for the device is realised, and having a strong independent developer scene would be the icing on that cake. Hopefully, Seasons of Heaven will act as a pioneer for indie gaming on the console. Over the next few months, there will doubtless be plenty of other games that see confirmation for the Switch, too. After all, rumors are already circulating over a Mario/Rabbids crossover game, as well as the release of the Dark Souls series for Switch. Let’s see exactly what Nintendo has planned when more details about the new console are known. Seasons of Heaven will be released exclusively for the Nintendo Switch. The Switch is currently predicted to launch in March 2017, with release details to be confirmed in a Nintendo stream on January 12, 2017.